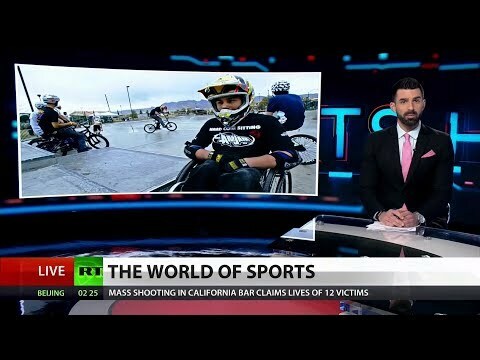 Aaron Fotheringham made the 2019 Guinness Book of World Records for three separate stunts in a wheelchair. The extreme athlete has been confined to a wheelchair since the age of eight and is one of the best WCMX competitors. The 2020 Tokyo Olympics will see baseball rejoin the lineup for the first time since 2008. In gold, Sergio Garcia finished eight under par after the opening round of the Nedbank Gold Challenge, his best start since 2015. RT America’s Steve Christakos reports.